The ear specula is the ideal instrument used in inspecting the inner ear drum. Eardrum is difficult to view with the naked eye, an ENT instrument is important to be used. The doctor detects the reasons for the patient’s discomfort. Ear Speculum is attached to the otoscope for use. The funnel-shaped device helps him see the inner portion of the ear. 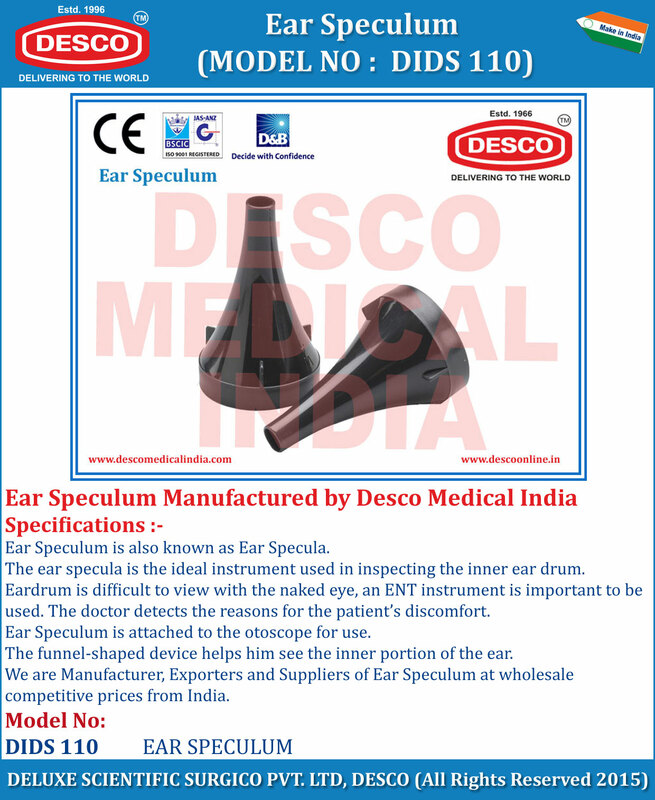 We are Manufacturer, Exporters and Suppliers of Ear Speculum at wholesale competitive prices from India.